Spa-Classic : a unique ambience on this legendary circuit! 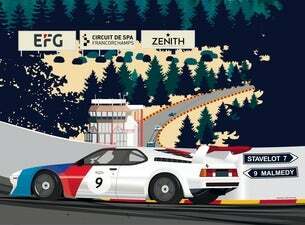 More than 400 exceptional racing cars from the 50s to the 90s are expected to turn up for a mind-boggling spectacle on the outstanding Spa-Francorchamps circuit. Classic Endurance Racing 1 and 2, Sixties’ Endurance, T2.0L Cup, Greatest’s Trophy, Heritage Touring Cup and Group C Racing & Endurance Racing Legends will follow one another on the track in spectacular races that relive the history of motor sport. Concerning the clubs, the presence of more than 1500 historic sports cars will provide a unique, nostalgic, temporary exhibition. The Spa-Classic paddocks are open to everybody and they will plunge you into another era of the motor car.